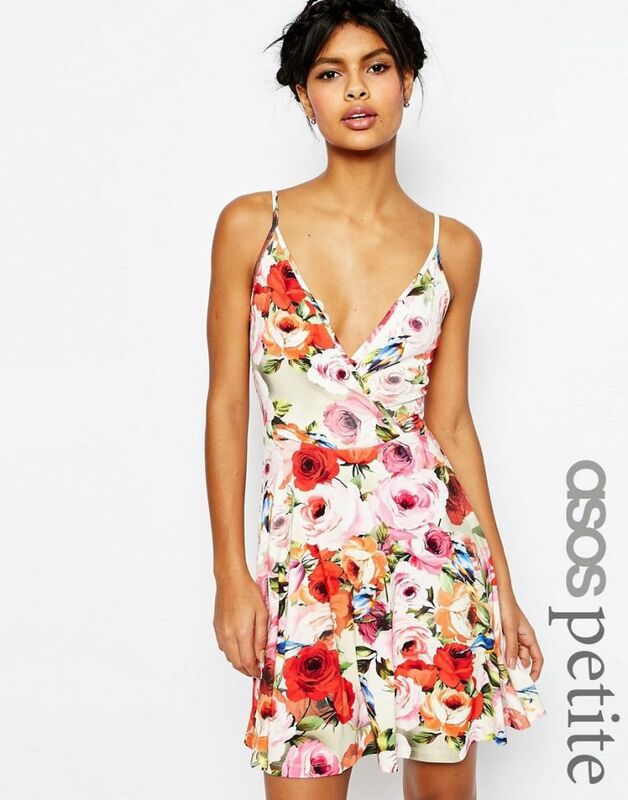 Skater dress by ASOS PETITE, Stretch jersey, V-neckline, Cami straps, Regular fit - true to size, Machine wash, 95% Viscose, 5% Elastane, Our model wears a UK 8/EU 36/US 4. 5�3�/1.60m and under? The London-based design team behind ASOS PETITE take all your fashion faves and cut them down to size. Say goodbye to all your short-girl problems with our perfectly proportioned denim, day-to-night dresses and everyday basics. With lengths created especially for our petite girls all over the world, good things really do come in small packages.